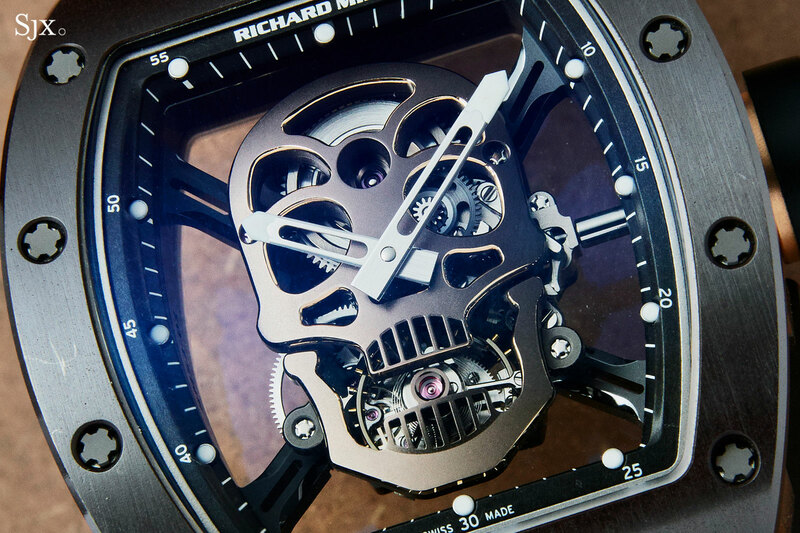 The Richard Mille Skull to a Royal Oak "Jumbo" skeleton. Phillips’ Hong Kong auction comprises almost 260 watches – including some major Patek Philippe watches, new and old – with a significant proportion being contemporary timepieces, as is typical of a Hong Kong auction. The modern watch spread is diverse, ranging from exotic independents like MB&F to suit-and-tie establishment names like A. Lange & Söhne. 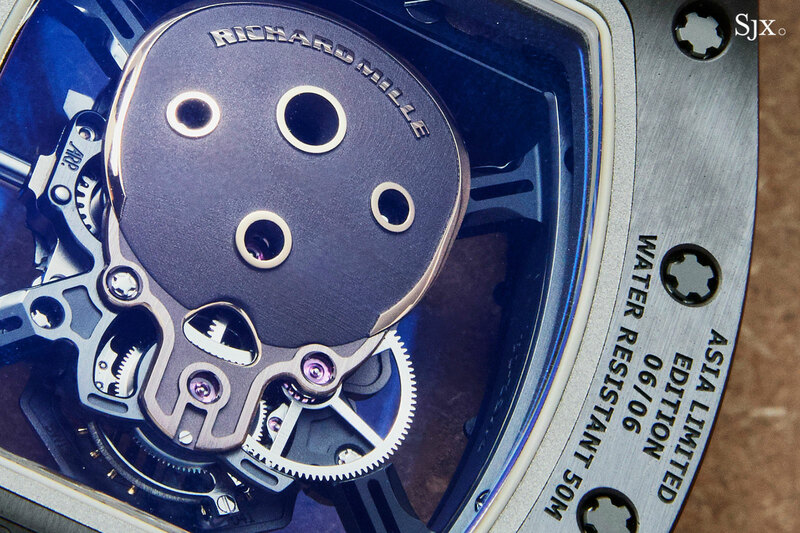 As is often the case, some of the modern watches represented excellent value for the savvy buyer, but there’s also a big ticket Richard Mille for the billionaire. Here’s a look at five highlights. The full catalogue can be found here. 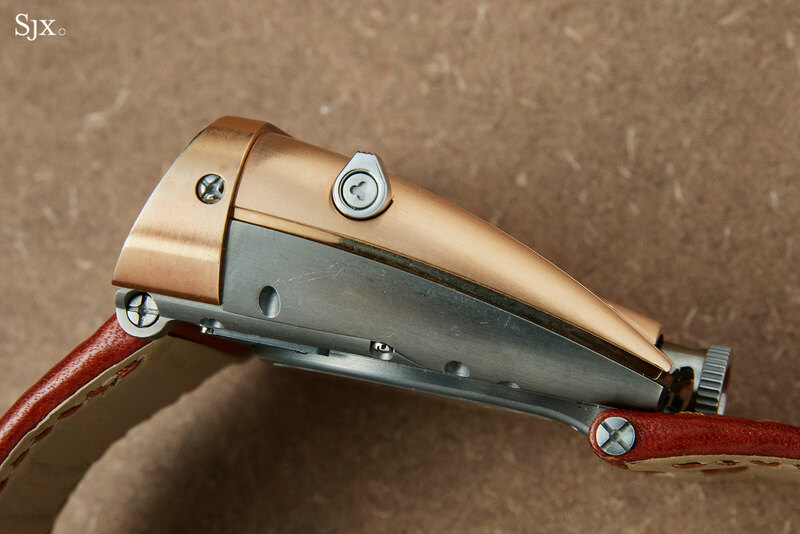 Like many of MB&F’s recent watches, the HM5 is a driver’s watch, with the time display on the lower front of the case, intended to be visible with hands on the wheel. 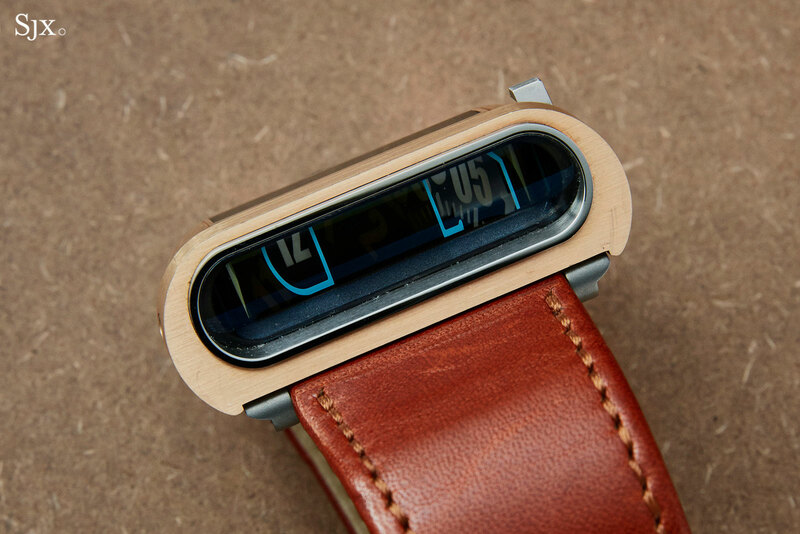 But the HM5 is also inspired by 1970s sports cars, specifically the Lamborghini Miura, explaining the sloping case with shutters that can be opened to charge the Super-Luminova of the time display discs. 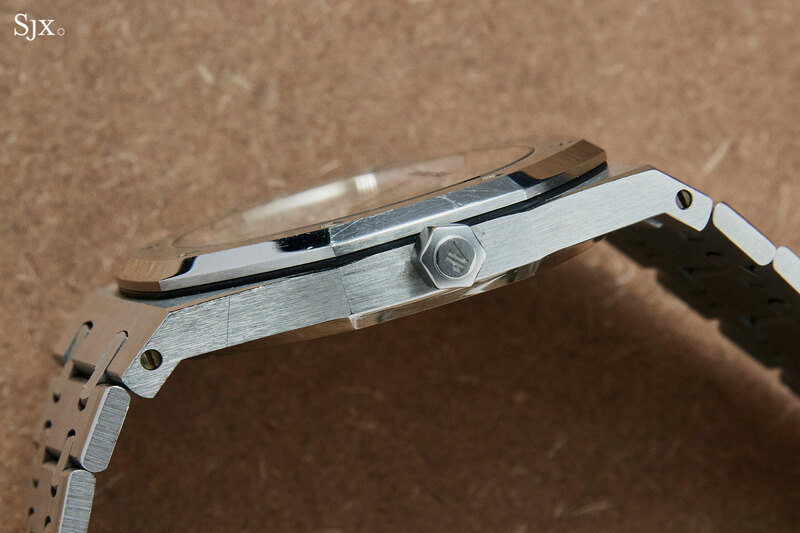 Though the discs sit parallel to the plane of the wrist, a sapphire prism translates them into a vertical image on the front. This example is from 2014, and is complete with the original packaging. It shows minor wear, but remains in good condition. Best of all the HM5 is an accessible entry into the world os MB&F, here with an estimate of HK$120,000 to HK$200,000, or US$15,400 to US$25,600. 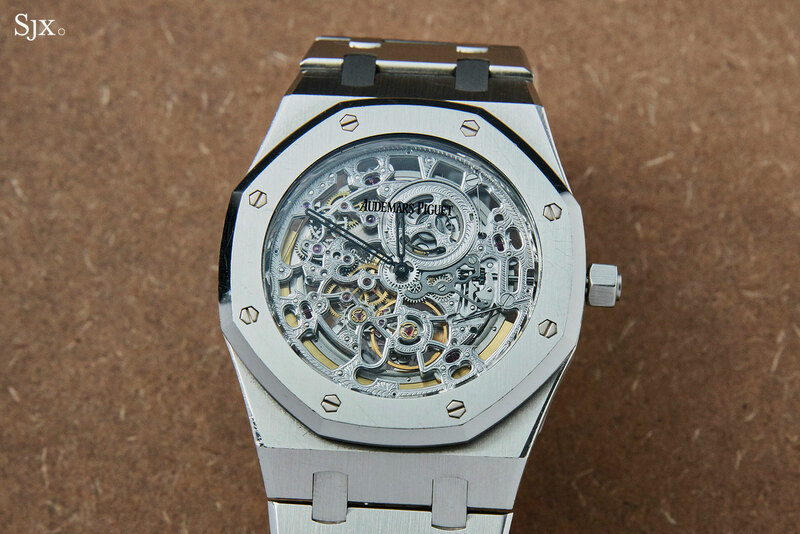 Produced about a decade ago in very small numbers as a boutique-exclusive, this Royal Oak “Jumbo” skeleton is unusual in having a steel case; most open-worked versions of the classic “Jumbo” are in gold. 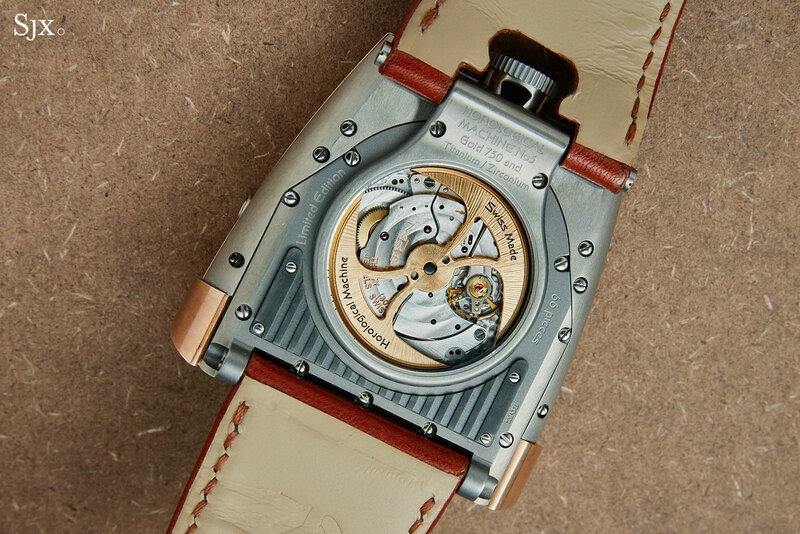 Though the movement has been dressed up, artfully skeletonised in an elaborate, traditional manner. The bridges and base plate have been cut down to the minimum and engraved with a floral motif, giving it a radically different look from current Royal Oak skeleton watches that favour geometric shapes and clean surfaces. 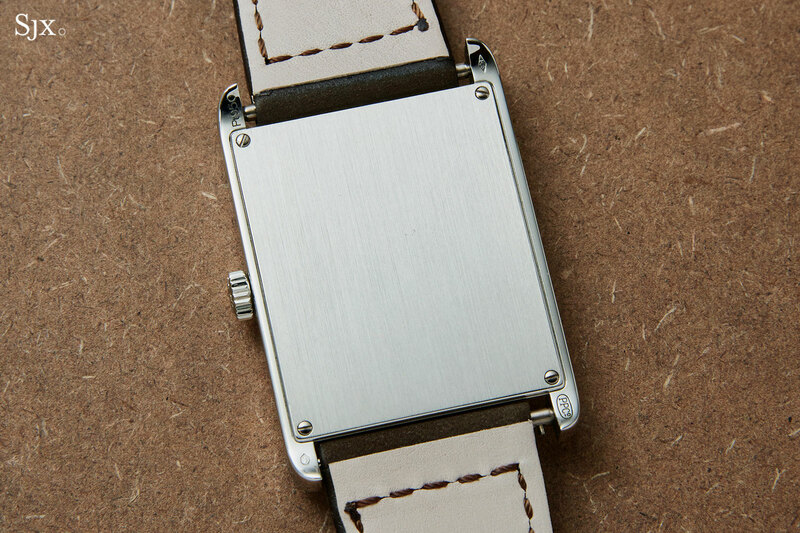 The steel case is classic “Jumbo”, 39mm in diameter and slim. Though this example has obviously been worn frequently, it retains the original sharp edges and crisp lines that define the Royal Oak. It’s also complete with the original box and papers. Given the price of the base model Royal Oak Extra-Thin today, and how much more skeleton watches usually cost at retail, this open-worked Royal Oak is relatively good value, even at the high estimate. The estimate is HK$230,000 to HK$400,000 , or US$29,500 to US$51,300. 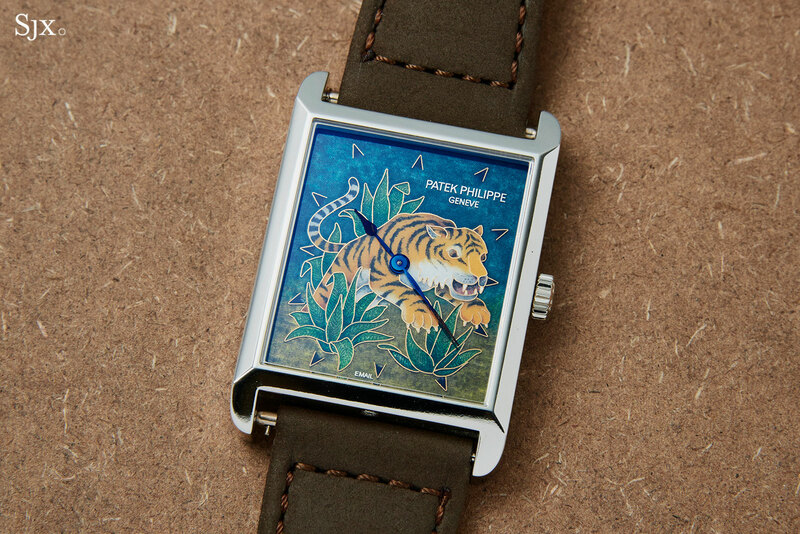 Once part of a four piece set – two watches of the set are in this auction – this is a rectangular, Gondolo-case wristwatch with a brilliantly coloured cloisonné enamel dial depicting a leaping tiger. 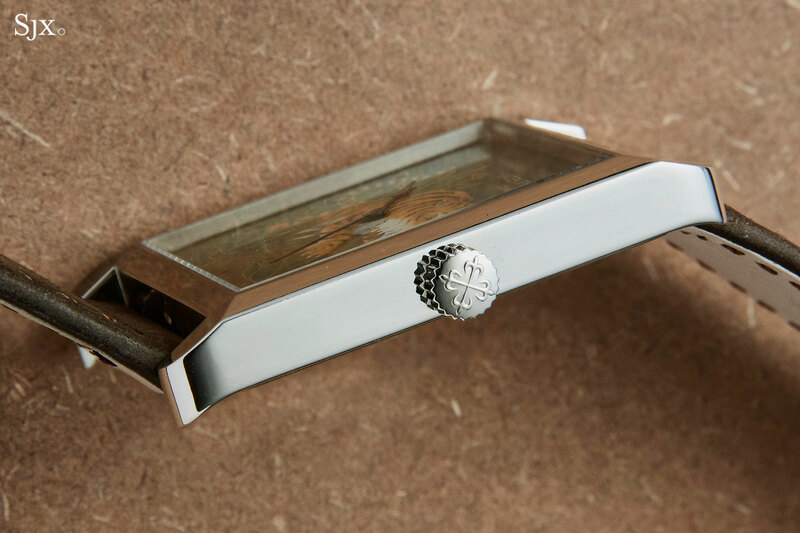 The watch case is platinum and plain, with the rectangular face forming an ideal canvas for the cloisonné work. This was originally sold in 2008, and is accompanied by the original certificate and documents inside a large leather folder. The estimate is HK$480,000 to HK$800,000, or US$61,500 to US$103,000. Patek Philippe Rare Handcraft cloisonné wristwatches can sell for fairly varied sums, even though the retail prices are fairly similar. 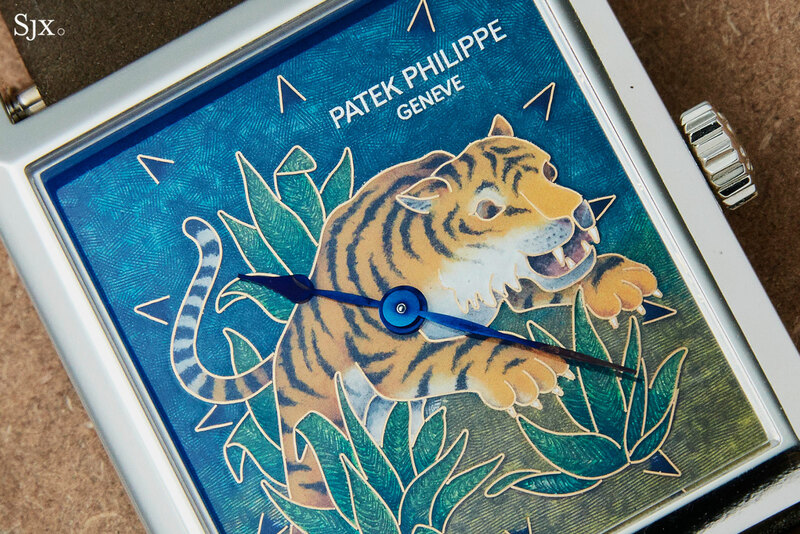 Given the vivid colours and dynamism of the tiger, this watch will probably sell closer to the high estimate than low. 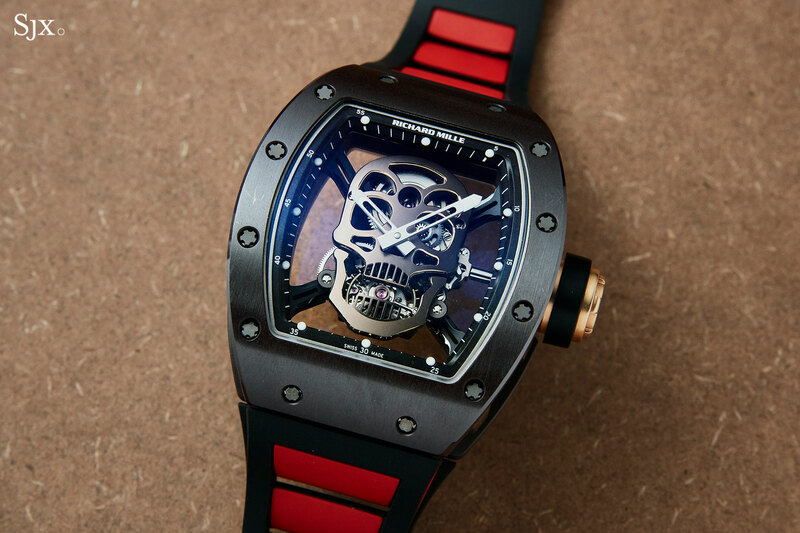 Richard Mille is arguably the hottest watch brand in the world now, and the RM 52 Skull is one of its hottest products. 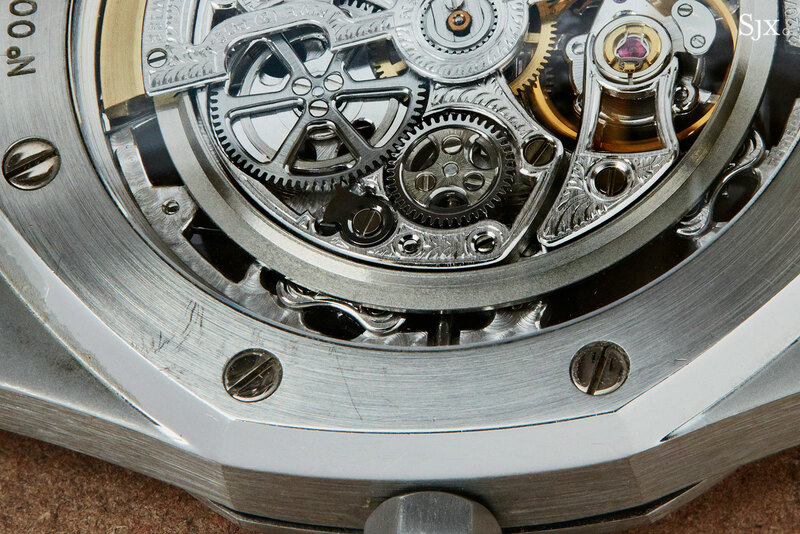 It’s essentially a skeleton tourbillon with the bridges and base plate shaped to form a skull. 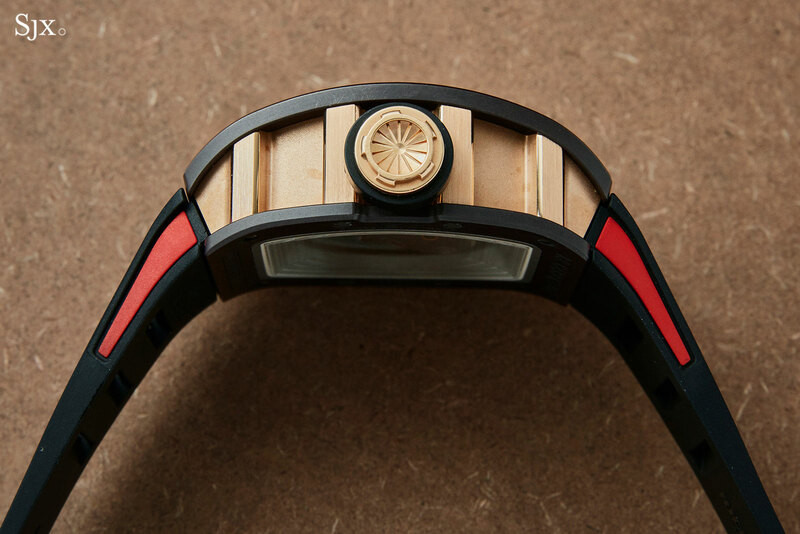 This example is one of six pieces made for the brand’s Asian boutiques, featuring skull bridges finished in brown PVD. 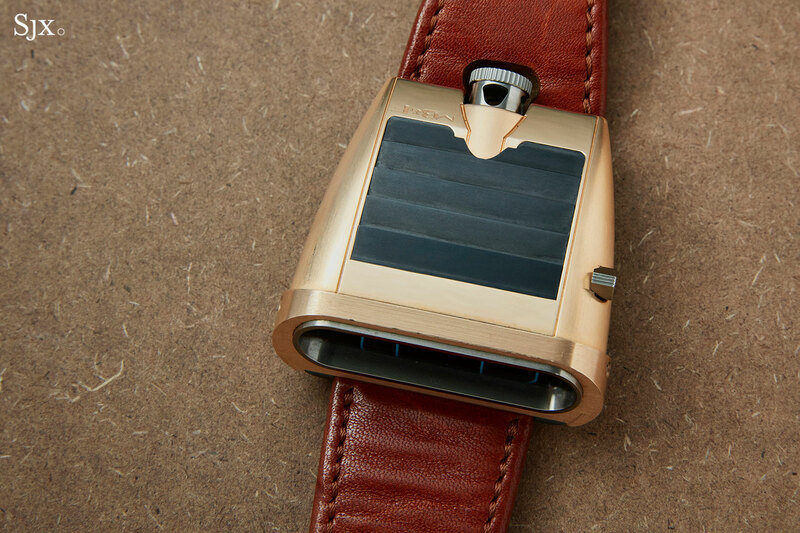 The case has black-coated titanium front and back panels, with an 18k red gold case middle. 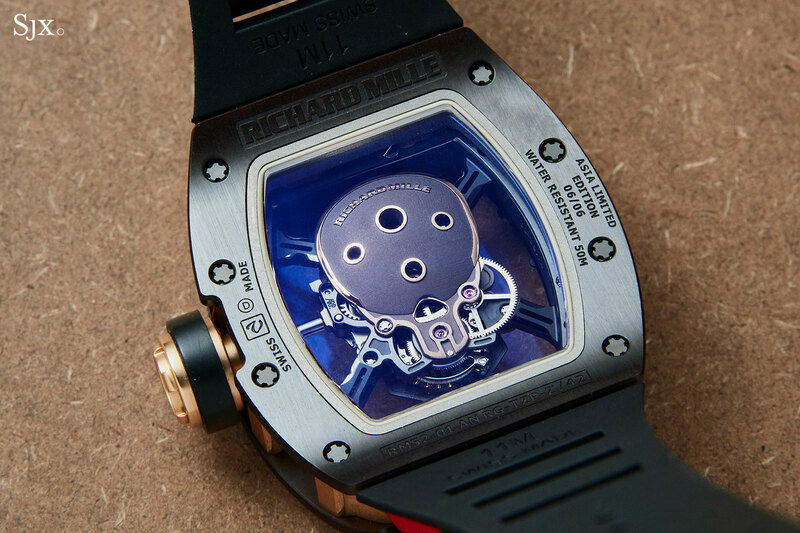 Though it is large and thick, like all Richard Mille watches it sits exceptionally well on the wrist. 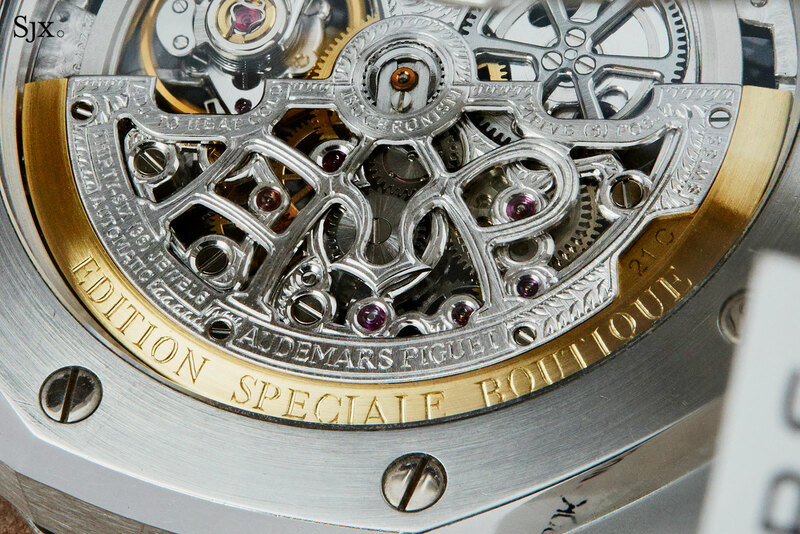 The movement inside is a hand-wound tourbillon calibre by Renaud & Papi. And the estimate for this ultimate status symbol is HK$4.8m to HK$6.0m, or US$615,000 to US$769,000, which it will comfortably meet. 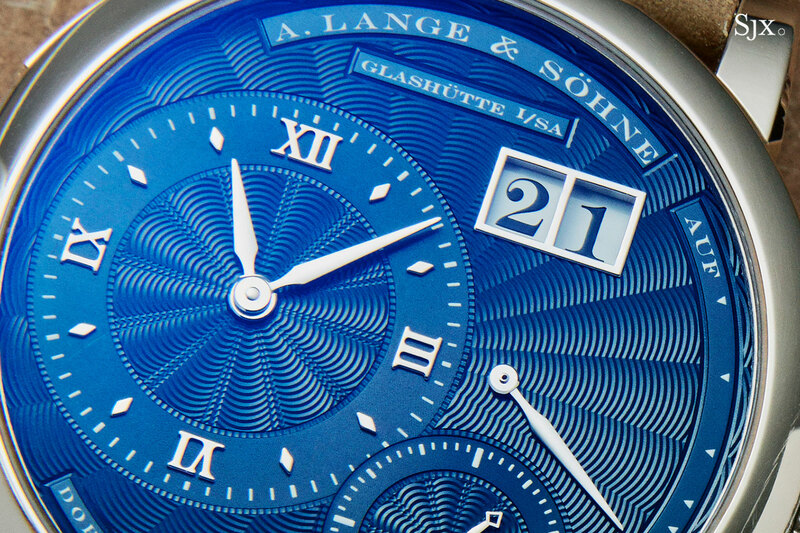 When A. Lange & Söhne marked the 20th anniversary of its most iconic wristwatch four years ago, it unveiled five different Lange 1s commemorative sets, each made up of a pair of matching watches for men and women with guilloche dials. 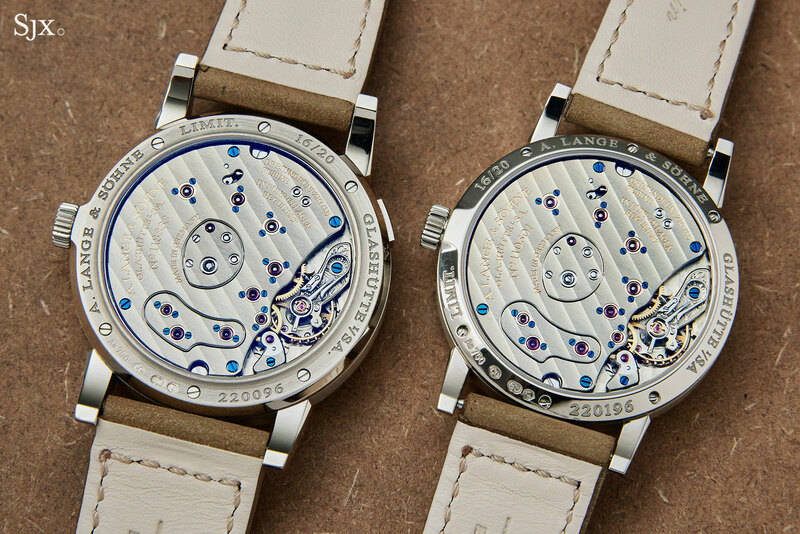 Only 20 examples of each set were made; this set has deep blue dials matched with white gold cases. 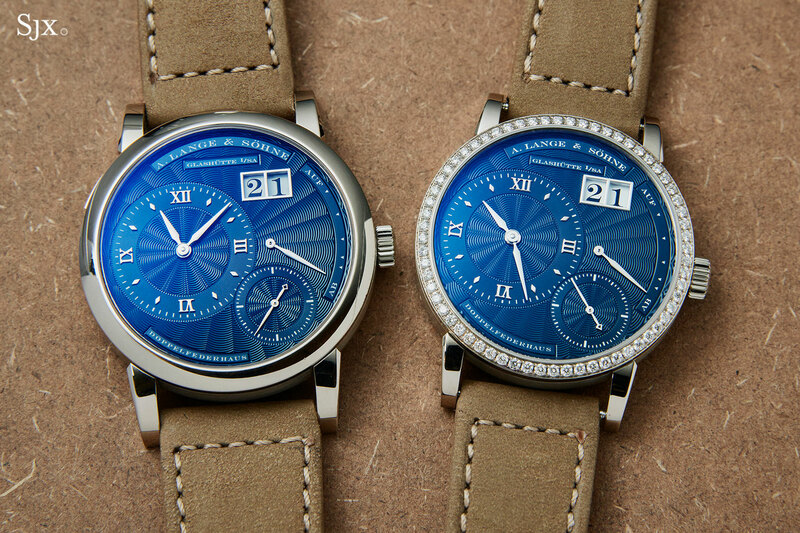 The men’s model is the traditional 38.5mm Lange 1, while the ladies’ watch is a Little Lange 1 that’s 36mm in diameter with a diamond-set bezel. Both are powered ty the same L901.0. 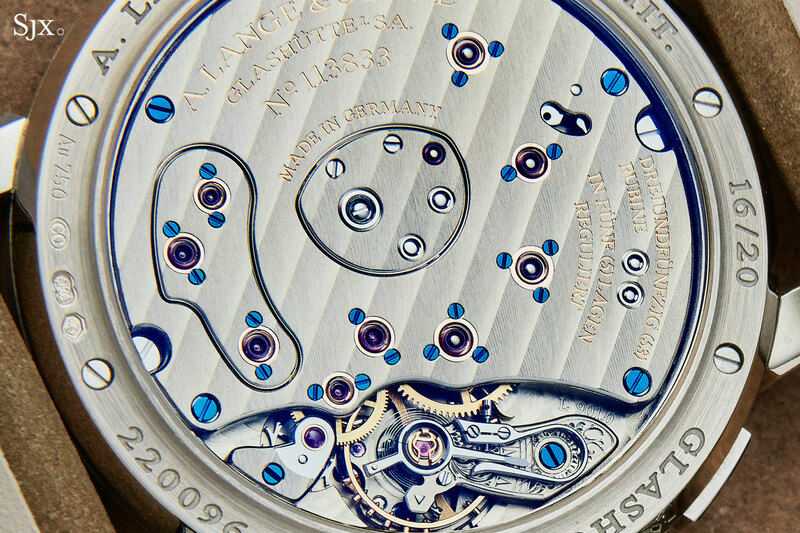 Both have the same blue dial with a radial engine-turning that reduces the stark, asymmetrical design that characterises the Lange 1. The watches are presented the original box, which is very large, along with all the paperwork. The estimate is HK$320,000 to HK$480,000, or US$41,000 to US$61,500. 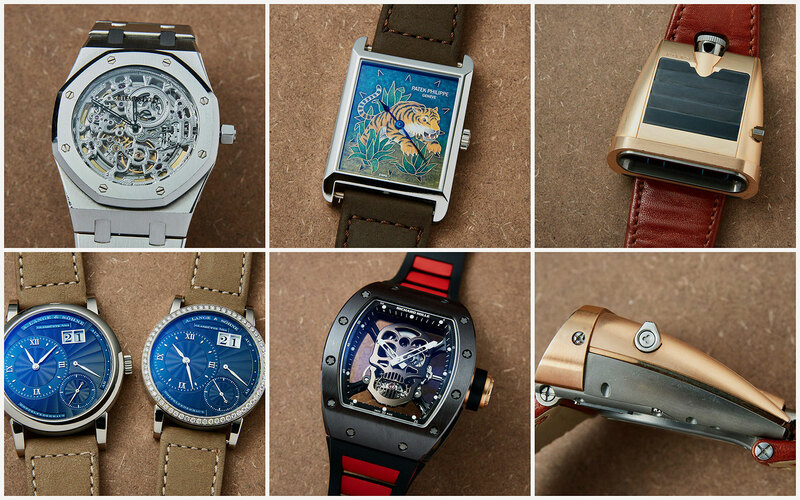 The Hong Kong Watch Auction: Seven takes place on November 27 at 12pm. The full catalogue is online here. Selected lots from the catalogue will be on show around Asia in the weeks leading up to the sale. Brought to you in collaboration with Phillips.